The authorities in Somalia's self-declared autonomous region of Puntland are moving to halt the smuggling of people - mainly Somalis and Ethiopians - into Yemen and the Gulf States, senior Puntland officials told IRIN. "We have begun to force would-be migrants back to their homes for their own safety. I would rather have them back in their homelands than dying at sea," said Muse Ghelle Yusuf, governor of Puntland’s Bari region. He said thousands of Ethiopians and Somalis are currently in Bosasso, the commercial capital of Puntland, intending to cross into Yemen. "Our estimate is that as of today [29 December 2009] there are 4,000-5,000 migrants in and around Bosasso," Yusuf said, noting that 1,000-1,700 have been arriving in the area daily. Abdulkadir Ahmed Kheyr, in charge of ending people-smuggling from Puntland, told IRIN they had so far repatriated around 1,000 people of "Ethiopian origin back to their country". "Somalis are detained and sometimes sentenced to jail terms to discourage them," he said. He said security units were arresting would-be migrants along the shore as they tried to board boats, adding that some of embarkation points used by smugglers had been taken over. "If they stay in Bosasso we don't bother them." In response to these measures, smugglers were moving further up the coast, he said. "In the past, you could board a boat 5-10km from Bosasso; now they are going up to 50km away," said a local journalist who requested anonymity. Zakaria Abshir, a 23-year-old from Bardhere in Gedo region, southwestern Somalia, is among those trying to reach Yemen and Saudi Arabia. Abshir told IRIN: "I tried once before and made it to Saudi but was repatriated within a week by the government there." Abshir said he was aware how dangerous and difficult the journey was but he had "no option". "I have no peace in my home and nothing to do. I know I may die trying this but I can also die of hunger or be shot by someone if I stay at home. I will only die once." 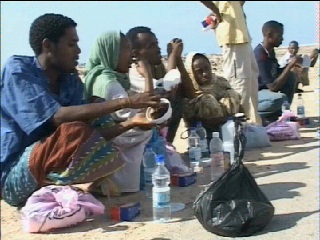 He said the Puntland authorities were making it "very hard for us [migrants] to leave". "This new policy of forcibly repatriating Ethiopians may discourage some but others will still come in," said the above-mentioned local journalist. "These are desperate people; some of them have made the journey before but they still do it". 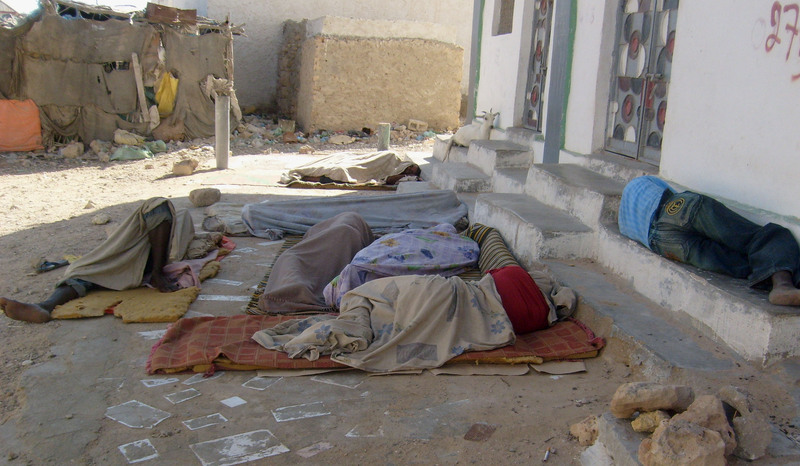 He added that because of the crackdown, smugglers were reportedly charging migrants US$200 for the trip to Yemen. According to the UN Refugee Agency, 74,000 people crossed the Red Sea from the Horn of Africa to Yemen in 2009 - up 50 percent on 2008. Whilst the number of Somali migrants remained steady in 2008 and 2009, the number of Ethiopians rose sharply to 42,000 in 2009, it said.